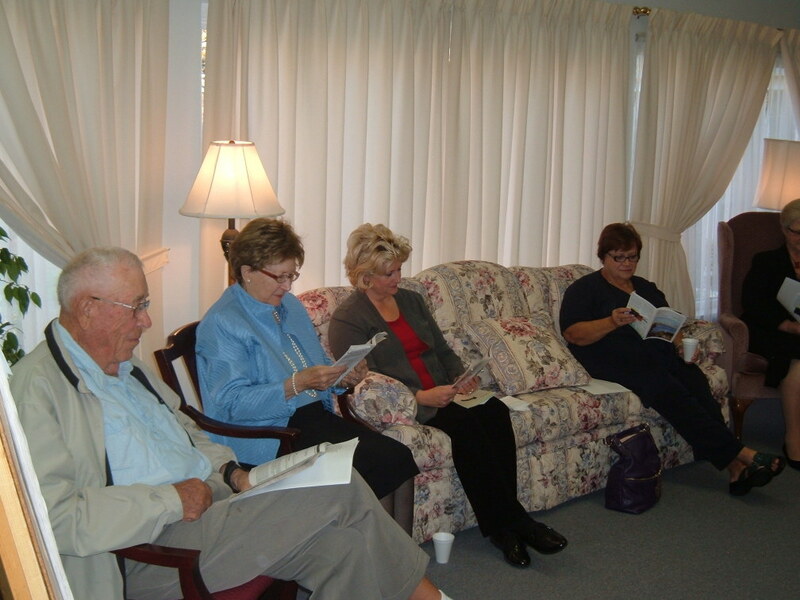 A small Bible study group meets on Wednesday morning. It's open to anyone interested in studying the Bible. 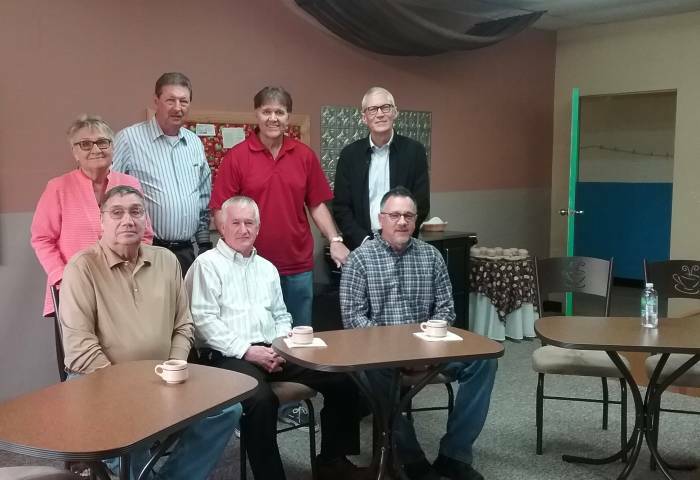 It meets at 10:30 to 11:30 each Wednesday, and each meeting is led by the Pastor or by Harold Detweiler. 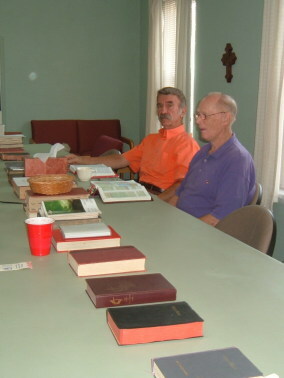 They study and discuss one or two chapters each week. 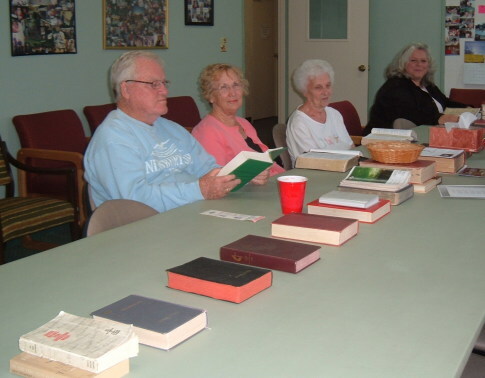 We offer Sunday morning Bible study classes for adults. Because we take seriously Jesus' words in Matthew 19:14 when he said "Let the little children come to me...", we also offer classes for children and teens age 4 through high school. 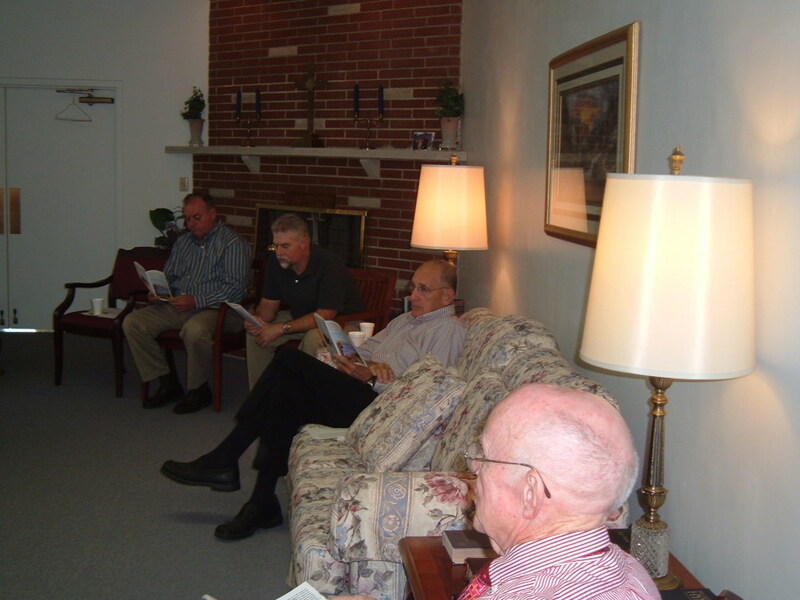 Our goal is to provide the best possible opportunities for spiritual learning, growth and fellowship. 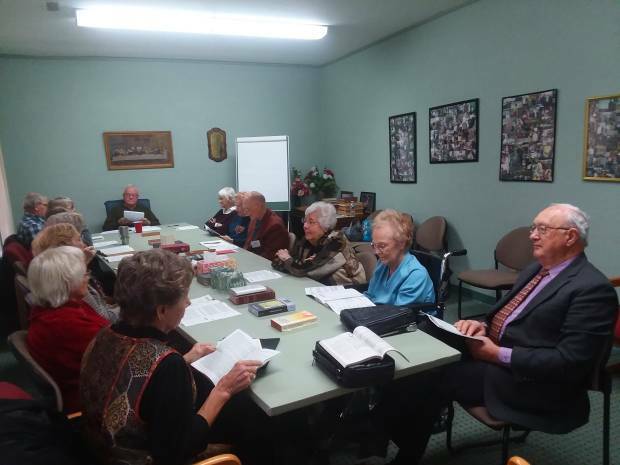 We invite you to join us each Sunday morning for Bible study at 9:00 A.M. and worship services starting at 10:15 A.M. Below are descriptions of the various study groups meeting every Sunday morning. Each of the classes would like to invite you to join them. 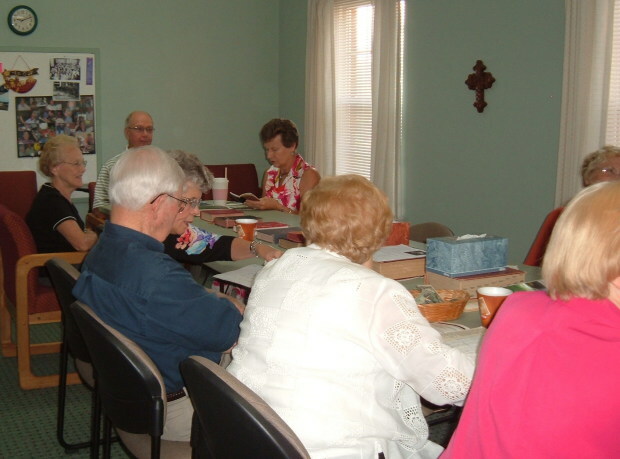 The Faith Class adult Bible study fellowship is an active group spanning a wide age range. 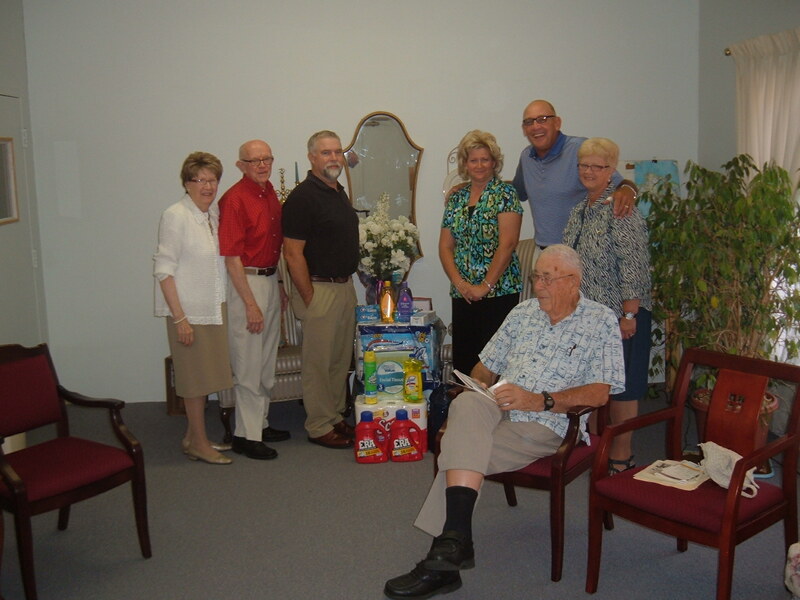 They use Cokesbury's Adult Bible Study curriculum. They periodically break from the curriculum to study and discuss material from varied publications. 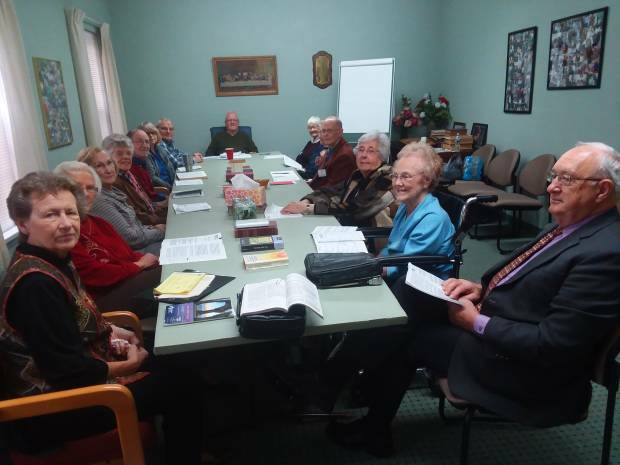 The Faith Class is taught by Keith Sparks. 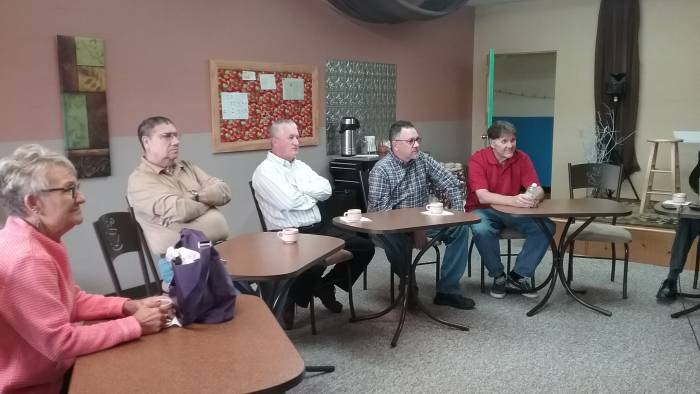 The Back Door adult Bible study class meets in the basement and is entered through a door at the back of the church. 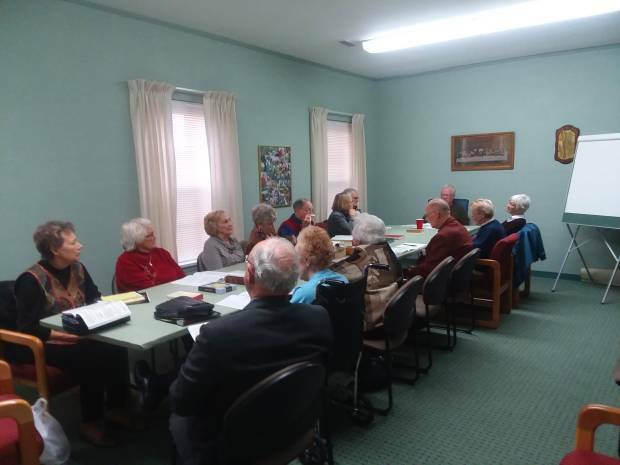 The group, led by Eric Harmon, uses C. S. Lewis' book Mere Christianity and others of his books as they delve into theological issues, investigating explanations of the Trinity, the psychological development of a Christian, and how to apply Christianity in our daily lives. What are your images of Christianity? Do you think of a powerfully-built Older Man who "had a Son" who "came down" to Earth? Did this Son later "ascend" to some sort of "palace in the stratosphere" where He is seated in a decorated chair a little to the right of the Older Man's throne? How would you begin to justify these images to the person in the street who has heard all the scientific facts about the ozone layer and most of what lies beyond? Where would he or she find room for this "palace in the stratosphere"? A C.S. Lewis essay, oddly titled "Horrid Red Things", gives us a means of reconciling these images. I think you will enjoy Lewis' explanation at 9:00AM this Sunday at The Back Door. Is there someone who is making your life harder than it should be? I think most of us can think of at least one. If we share this problem with a friend or family member, they might ask, "Why don't you try to have a quiet, calm discussion with this person to see if you can get them to change?" "But", you answer, "you don't understand. They won't change; even if they agree to try, they will slip right back into the same behavior within a few days. It's just hopeless." Let's listen to an audio version of C.S Lewis' essay, The Trouble with "X"... for some great insights into this problem. Have a fun weekend and I'll see you Sunday morning at 9:00AM at The Back Door. 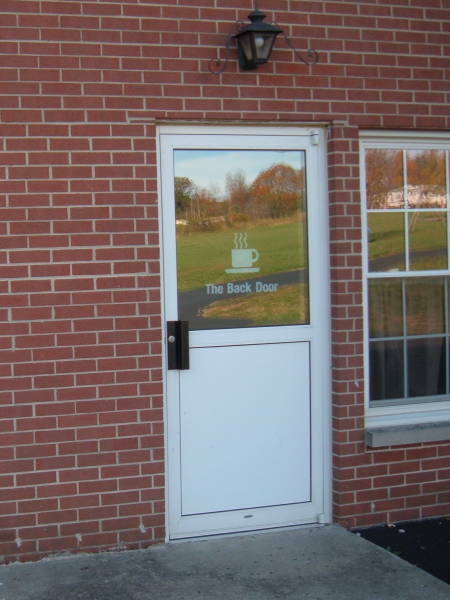 The Back Door group has organized the First Helping local mission project, see the missions page for details on that project. 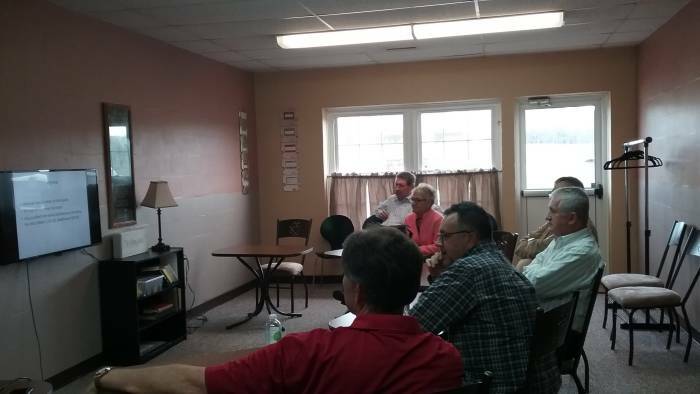 The Becomers Class uses Cokesbury's Adult Bible Curriculum in addition to other Bible commentary and other books and videos with open discussion. The class is led by Mike Benham and Darrell Newkirk. Mere Christianity and The Screwtape Letters, both books by C. S. Lewis. 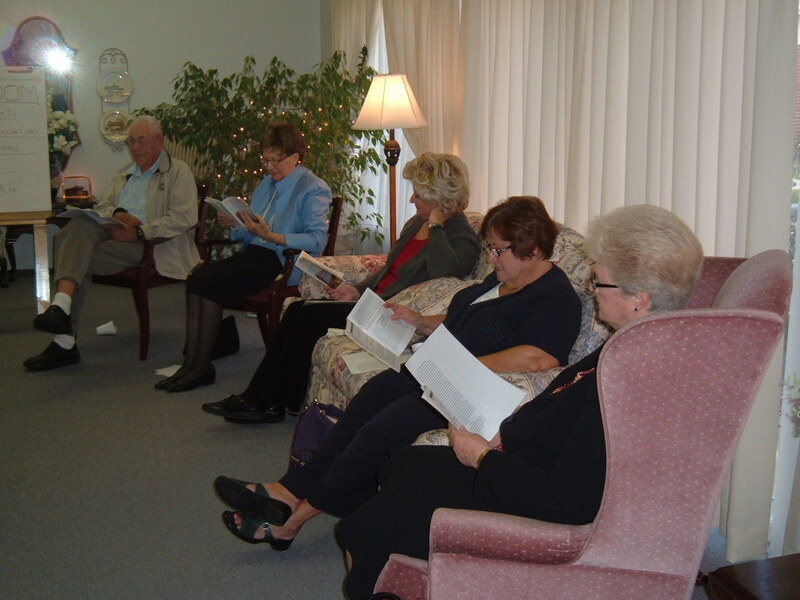 Each member read on their own, and then discussed in class, the book Dinner With a Perfect Stranger by David Gregory. 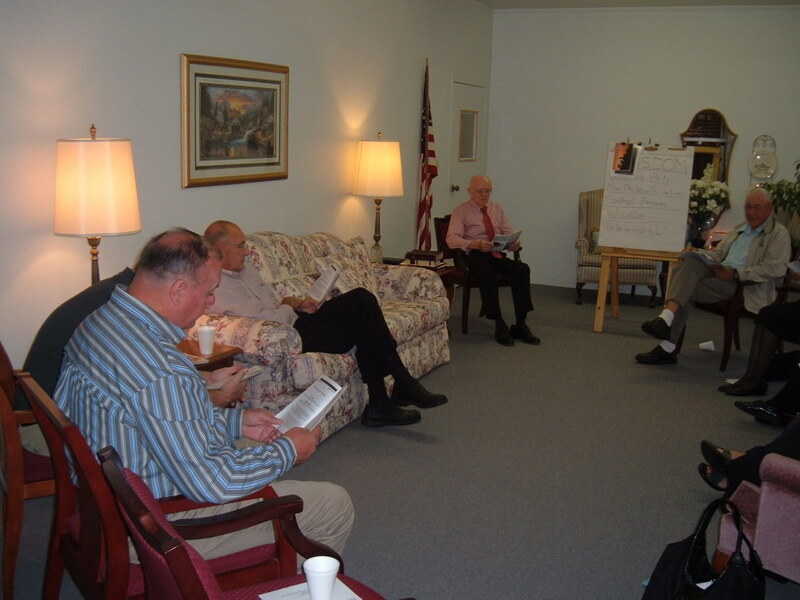 The class took several weeks to discuss in depth The Social Principles of the United Methodist Church. 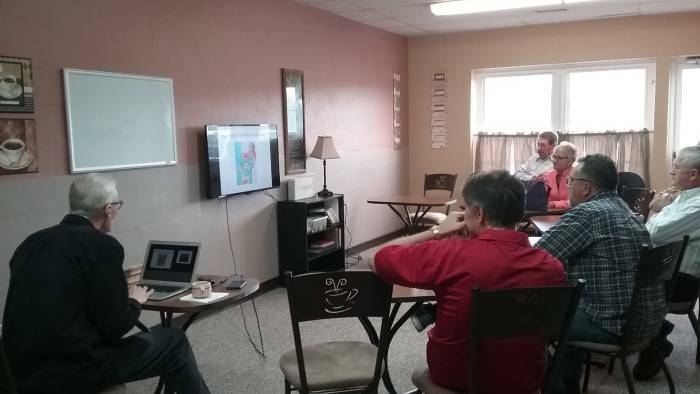 The class used a study guide to discuss two of Bruce Wilkinson's books, The Prayer of Jabez and A Life God Rewards. The class discussed Joseph Girzone's book Joshua using a study guide. The class occasionally views copies of great paintings that relate to the lessons. 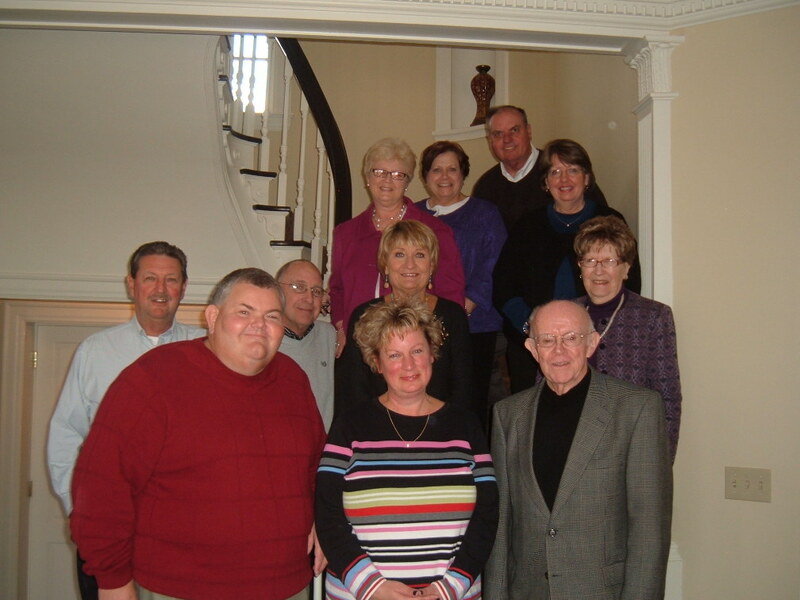 The group also gets together for Christian fellowship and goes on outings to cultural events in Louisville and surrounding areas. 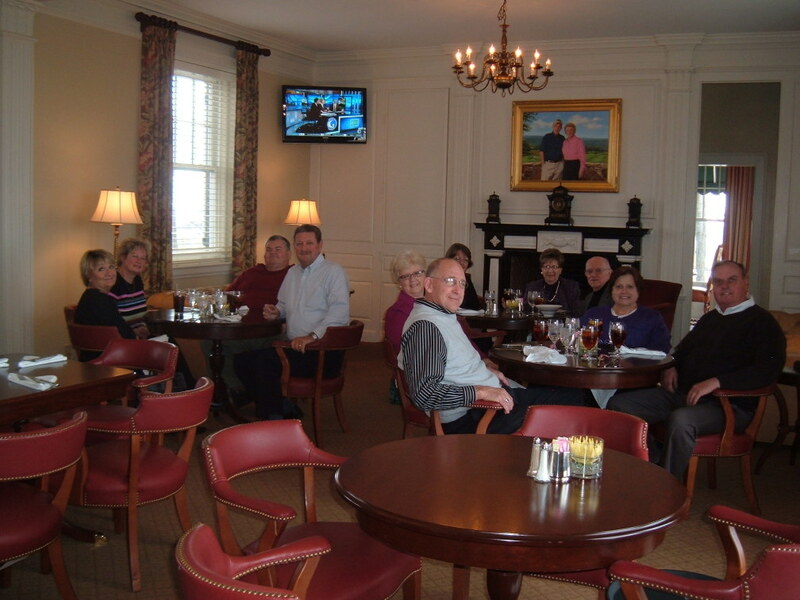 Above, they are having lunch near French Lick at Mount Airie, originally the home of Tom Taggart, a powerful Indiana and U.S. politician in the early 1900s and the developer of the French Lick Springs Hotel. 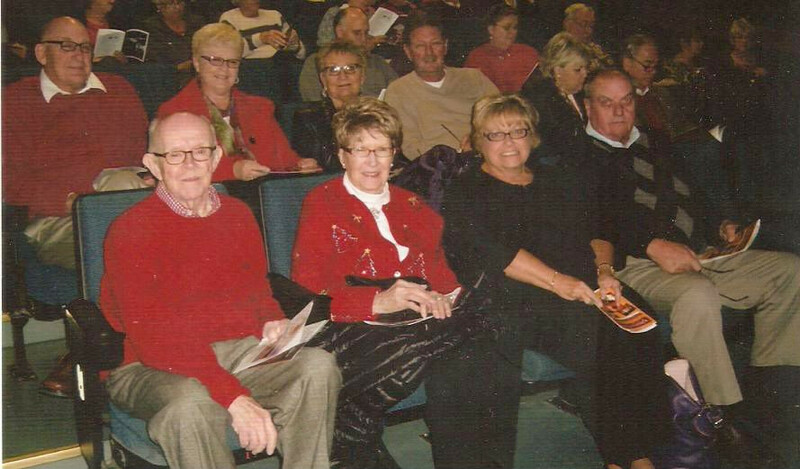 Below, they have traveled in the church bus to Corydon's Hayswood Theatre for a Christmas presentation. They had dinner at a restaurant in Corydon after the show. The J.O.Y. class takes its name from "Jesus. Others. Yourself". The J.O.Y. class is a sharing group with a wide age range. 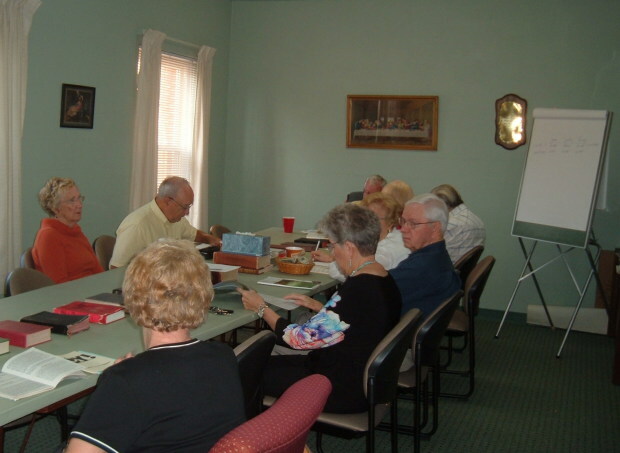 The Adult Bible Study Curriculum is used with sincere and lively discussions and good Christian fellowship throughout the year. The J.O.Y. 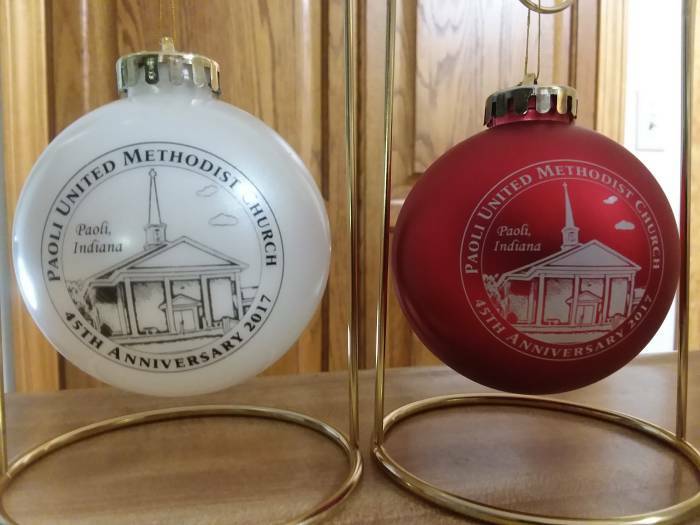 class is selling Christmas ornaments, red and white collectable ornaments commemorating the 45th anniversary of the Paoli United Methodist Church. $10 each, see any J.O.Y. class member or look for them in the foyer any Sunday.